The Atlantic Coast Pipeline was supposed to run through this Blue Ridge Parkway, but this halt will keep it safe—for now. A federal agency has stopped a major East Coast natural gas pipeline in its tracks—just a week after doing so to a similar project. The Federal Energy Regulatory Commission (FERC) decided late-night Friday to halt all construction of the Atlantic Coast Pipeline, reports E&E News. This 600-mile long natural gas pipeline has met serious opposition from environmentalists. The interstate pipeline would cross West Virginia, Virginia, and North Carolina, where opponents worry a potential spill could contaminate waterways, threaten endangered species, and destroy a precious national park. The courts are starting to agree. 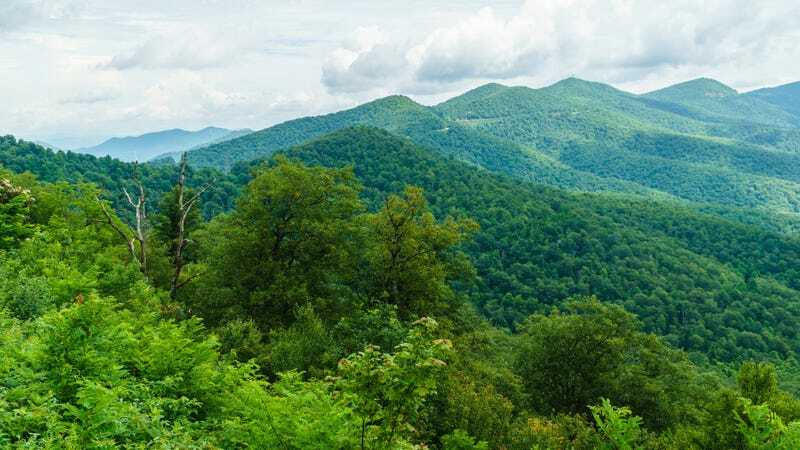 Last week, an appeals court withdrew a couple state permits the project needed because they failed to adequately account for endangered species or a crossing through the Blue Ridge Parkway. Plaintiffs used this as an opportunity to raise a red flag with the federal agency responsible for regulating these energy projects. FERC ruled in the plaintiffs’ favor because if these permits change dramatically, the entire pipeline route may change, per its order. Opponents’ pleas to slow things down previously saw success with Mountain Valley Pipeline, a 300-mile long natural gas pipeline also traversing this region. FERC completely stopped construction August 3, but some resumed again last week after the commission approved a temporary stabilization plan. Work along the Atlantic Coast Pipeline’s route is supposed to be on pause until lead developer Dominion Energy can secure proper permits from the National Park Service and the Fish and Wildlife Service. That process, in theory, should take months, said Anderson. But it really depends: Mountain Valley Pipeline is already going again, and two weeks haven’t even passed yet. Still, pipeline opponents must savor every victory—even the short-lived ones.